I haven’t seen many of his films, but even a small sampling shows Philip Seymour Hoffman to be an extraordinary actor with undeniable skill. Sadly, we learn that Hoffman is gone, apparently falling prey to a drug habit that he couldn't shake. My deepest condolences to his family—including his three children. 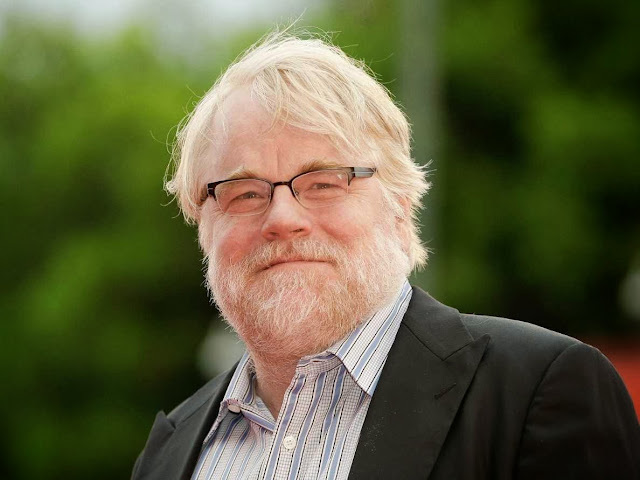 I pray that they will find comfort and peace in this most difficult time, just as I pray Hoffman himself came to know hope even amidst his apparent hopelessness. In his death Hoffman joins a long list of those who have earned and enjoyed extraordinary success by temporal measure (fortune, fame, etc.) and whom yet have maintained a demonstrated desire to escape that very reality in which they have excelled. Despite Hoffman's cautionary tale we concurrently watch Justin Bieber's apparent descent into the madness of drug abuse, and Miley Cyrus' proclaimed love for getting stoned. Haven't we learned anything at all by the scores of fallen who preceded us? Then I became great and increased more than all who preceded me in Jerusalem. My wisdom also stood by me. All that my eyes desired I did not refuse them. I did not withhold my heart from any pleasure, for my heart was pleased because of all my labor and this was my reward for all my labor. Thus I considered all my activities which my hands had done and the labor which I had exerted, and behold all was vanity and striving after wind and there was no profit under the sun (Ecc 2:9-10). Give strong drink to him who is perishing, and wine to him whose life is bitter. Let him drink and forget his poverty and remember his trouble no more (Prov 31:6-7). The Biblical wisdom literature provides us two options: find hope and meaning in our Creator and Savior, or forget our hopelessness and the vanity of our existence through the altered state that substances can provide. Obviously, the second option isn't recommended nor can it solve the problem, but yet it can be a very real part of our human existence. It is heartbreaking to see, in real life, how deceptively appealing and destructive the altered state can be—to see a man weep uncontrollably because his drug habit has cost him his family; to see a mother distraught because her son has stolen everything from her in order to feed his drug habit; to see a family broken by the loss of their father to addiction. Hope isn't found in escaping reality. It is found in recognizing reality. I hope and pray that Philip Seymour Hoffman found reality before his tragedy struck. I hope and pray that others who struggle with the apparent hopelessness and meaninglessness of reality can become acquainted with the meaning, joy, purpose, and hope offered by the One who created us and who offers us life in Him. For your lovingkindness toward me is great, and you have delivered my soul from the depths... (Ps 86:13).